What kind of massage will best ease your aches and pains? Whether you favor a soft touch or a deeper massage, here are some of the most popular types. This extremely popular therapeutic massage uses light to medium pressure to relax the whole body. The therapist uses long strokes moving toward the heart and a combination of kneading, percussive, rolling and tapping movements. Pleasantly scented oil reduces skin friction. Expect stress relief, reduced pain, more oxygen in your blood, improved circulation and a better mood after your Swedish massage. Deep tissue is similar to Swedish massage, but uses more pressure. It aims to release chronic muscle tension. Skilled practitioners will get you so relaxed you won’t mind the deep pressure. Deep tissue massage can help rehabilitate injuries, reduce arthritic pain, boost your mood and lower your blood pressure. Specially trained prenatal massage therapists can enhance the well-being of mothers-to-be and preborns through massage. Prenatal massage techniques may decrease anxiety and labor pain, and safely speed delivery. Massage relieves common pregnancy side effects, such as edema, headaches, leg cramps and back aches, and reduces pressure on joints. Be sure to clear it with your doctor before making a prenatal massage appointment. Originally developed by Native Americans, this kind of massage incorporates water-heated hot stones. 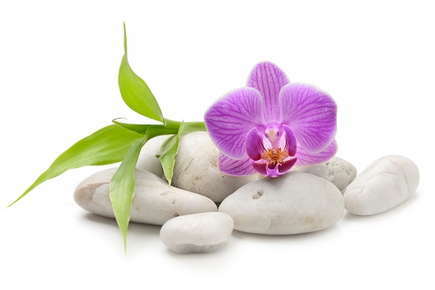 During your massage, your therapist will place the smooth stones on key places on your body. The heat helps relax your tightest muscles. Your therapist starts with Swedish massage, then introduces black basalt stones of various sizes, heated to about 130 degrees. Trigger points in the body cause pain in other areas. For example, a trigger point in your neck might send sharp or dull pain down your arm. In trigger point massage, the therapist and client work together to find these points and release the pain. Regularly scheduled sessions can help people manage chronic pain. Your therapist might also assign corrective exercises. Based on an ancient Chinese therapeutic system, reflexology uses points on the feet and hands to address problems in other participates of the body. Reflexology is similar to acupressure. It can stimulate organs, and it feels fantastic on the feet and ankles. Whether you want to address your overall wellness or just soothe your aching feet, reflexology will make you feel wonderful. It’s especially beneficial for people with plantar fasciitis or sports injuries involving the ankle. This Japanese modality uses finger pressure on acupuncture points to unblock your life energy’s flow. Your therapist may also use her thumb, knee, palm or elbow to enliven areas along the energy meridians. Shiatsu stimulates your lymph and blood flow while providing an overall feeling of peace and relaxation. Some of our clients attribute their strong immune systems to Shiatsu. Everybody from weekend warriors to pro athletes needs a little TLC now and then. Depending on your sport – and your aches and pains – your therapists will tailor the sports massage to your needs. This type of massage is ideal for soothing muscles that have been inflamed from repetitive movements, such as your tennis swing or your jump shot. Sports massage can help improve endurance, reduce fatigue, decrease muscle soreness and increase your range of motion. Still not sure which type of massage is best for you? Call us today and we will help you decide on the best option.